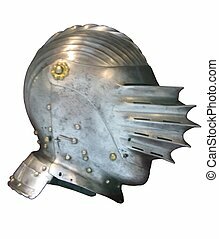 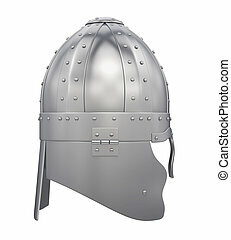 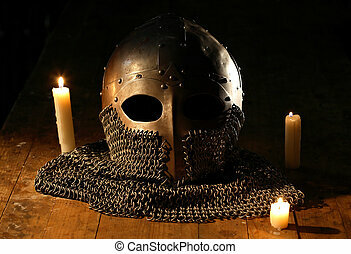 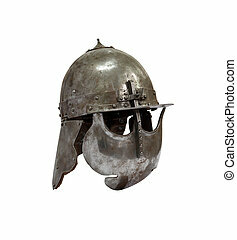 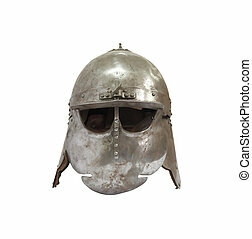 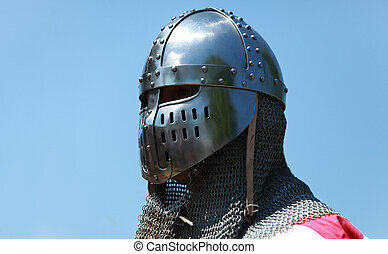 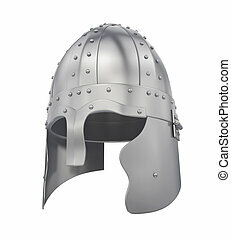 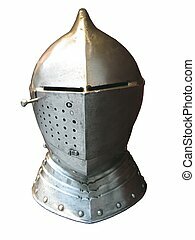 Knight helmet. 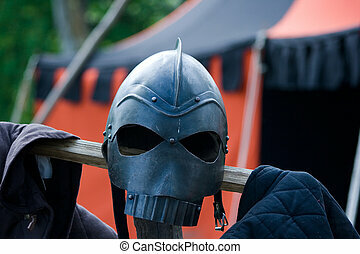 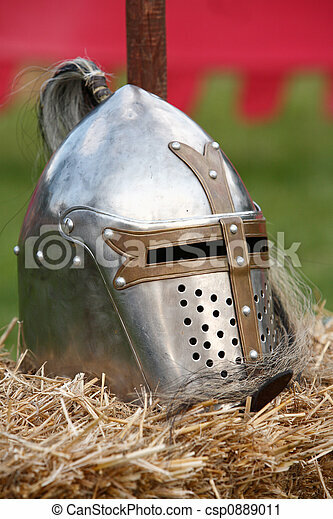 A knight helmet in a medieval festival. 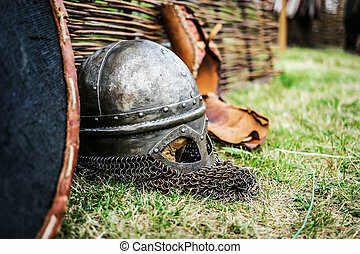 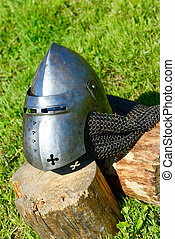 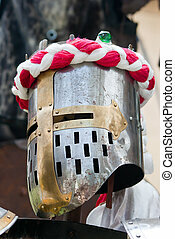 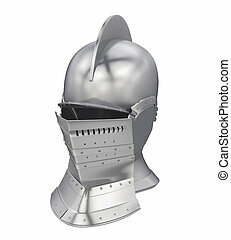 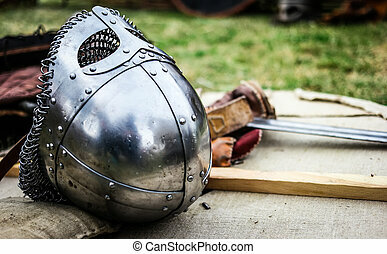 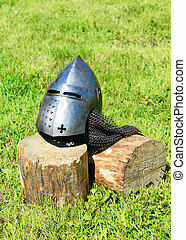 Image of a templar knight helmet against a blue sky.Natural lighting.